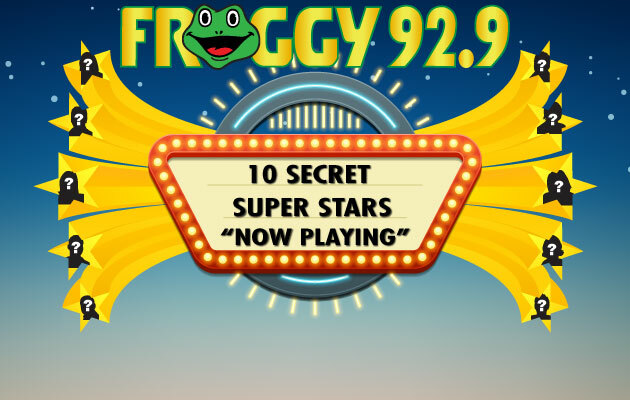 Froggy 92.9’s Ten Secret Super Stars – We’ve Got a WINNER! Froggy 92.9’s Ten Secret Super stars. Lots of different people – music, sports, the big screen, the small screen, politics. Who could they be? Becca from Santa Rosa named them IN ORDER and she grabbed $2,000!!! NOW Let’s Hear Becca’s Winning Moment! Congratulations Becca and ALL of our winners who scooped up money with Froggy 92.9’s Ten Secret Super Stars! Keep it on Froggy 92.9 for More cash, concerts, trips, prizes AND MORE!